How does the difference in material effect the cost of my restoration? Do certain porcelain materials take longer to receive from the dental lab? The Dentists at Orenco Station are dedicated to helping Hillsboro dental patients keep their smiles healthy, repair dental damage with conservative, cosmetic restoration options, and enhance the appearance of their smiles using quality porcelain treatment options. 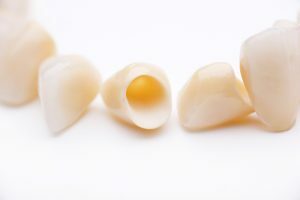 If you want to learn more about dental crowns, veneers, and other treatments that utilize quality porcelain, call our office to schedule a consultation today. We will be happy to examine your smile, discuss treatment options, and help you find the best possible materials to repair or enhance your smile.